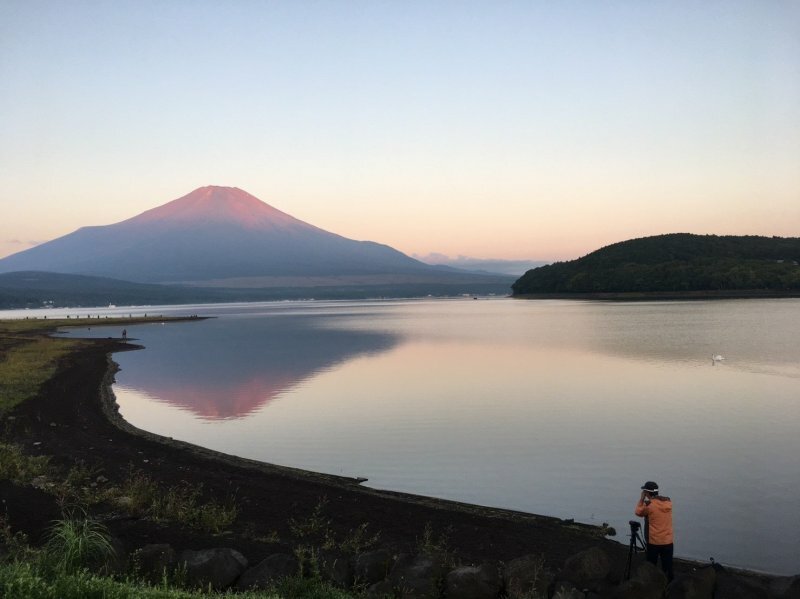 Considered one of Japan's premier cycling events the iconic, annual Mount Fuji Long Ride event invites cycling veterans and beginners alike to the foothills of Yamanashi to cycle around the Fuji Five Lakes region in the shadow of Mount Fuji. 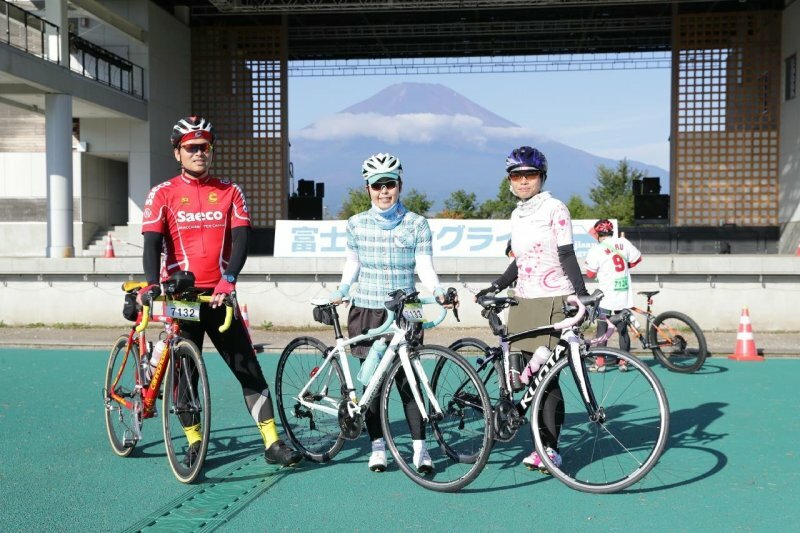 Part of the Tour de Nippon circuit of rides that takes place across Japan throughout the year, the Mount Fuji Long Ride takes place every September and attracts riders from all over Japan. From lakeside views of Mount Fuji to the cover of the forest canopy, the course promises a fun-filled and adrenaline-packed ride, no matter your skill level. Three courses ensure the event (not technically a race) remains open to all. 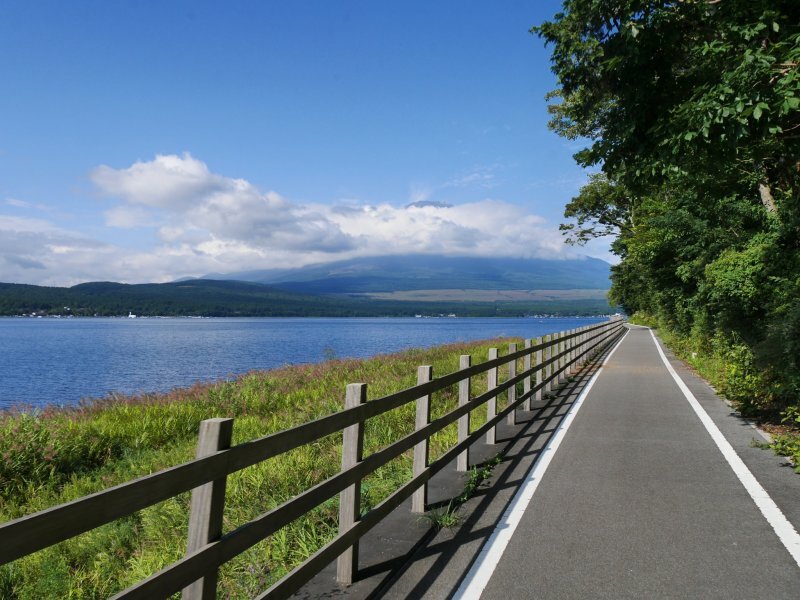 For advanced cyclists, embark on a 130 km ride around all Five Fuji Lakes. 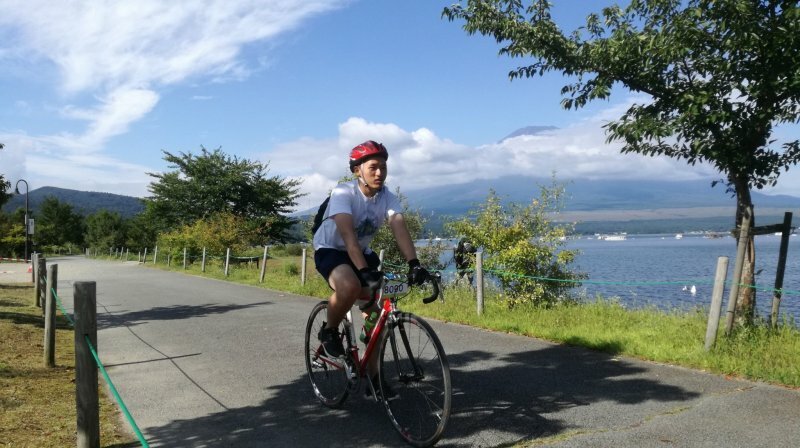 As an intermediate cyclist, you can choose the 60 km ride around Lake Yamanaka and Lake Kawaguchi. 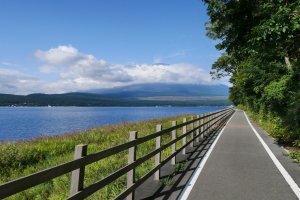 Lastly, if you are looking for a relaxed course, as a beginner cyclist, set out on the 30 km course around Lake Yamanaka and scenic Oshino Village. 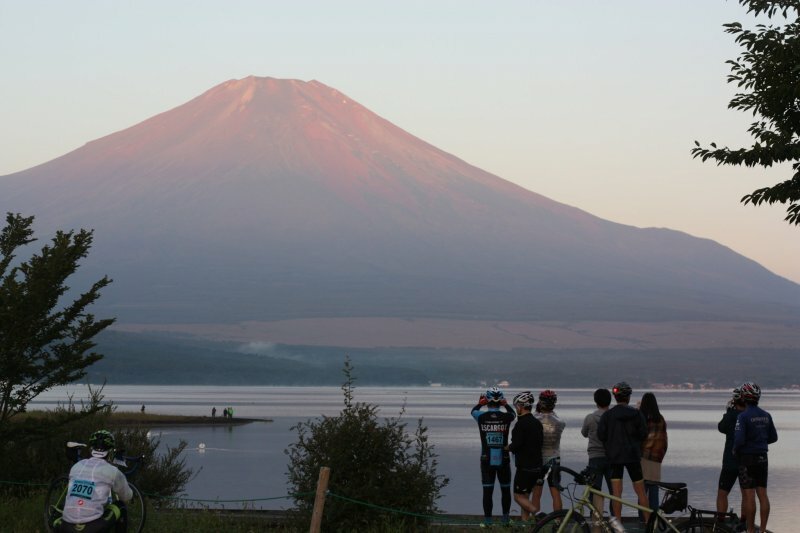 The event starts and finishes at the Lake Yamanaka Communication Plaza Kirara along the southern shore of Lake Yamanaka, with the start-line providing a magnificent, Instagram-friendly glimpse of Mount Fuji on the horizon – with the sun out, it's the perfect start to the ride and—along with Yamanashi's idyllic landscape—will surely keep spirits high well into the first 10 km! Some well-timed aid stations along the course go beyond just providing a welcome respite from the late summer heat, by offering a taste of local Yamanashi fare, including a Houtou stew of flat udon noodles, with nutrition-packed snacks and drinks being prepared and sourced locally to keep the legions of exhausted riders going. All drinks and foods along the course are included with the participation fee. Participation fees for the three courses are ¥9000 for the 130km, ¥6000 for the 60 km, and ¥4000 for the 30 km course if you register in advance. Rental bicycle free is ¥5400 including equipment such as helmet and gloves. Tickets and rental bikes are available on the day of the event, but there is a limited supply of rental bicycles available and the prices are slightly increased. Be sure to pick up your completion certificate with time at the end of the race. There is also some light food and drinks offered once finished as well as a few paid food and drink stands in the area. If you came in a group there is plenty of space to sit down and enjoy the mountain air while you wait for everyone to finish. 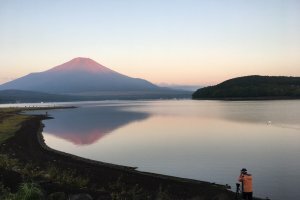 Mount Fuji Long Ride represents a great opportunity for those looking for a way to experience Japan's countryside. The event is perfectly suited to both foreign residents and tourists alike – who can even sign up for a bike tour for this year's event, held on September 9th, while stopping by along the route to discover some local spots like, the Ninja Village at Oshino Shinobino Sato. Cycling enthusiasts can also book their place on the standard Fuji cycling event through Japan Travel as well. Mount Fuji Long Ride provides a variety of rental bikes available to accommodate children and adults. Lake Yamanaka Communication Plaza Kirara is best accessed by car—with ample parking available—and is about a 2-hour drive via expressway from Tokyo.